Every once in a while I run across a program that makes my heart sing. Here’s one that has a name on it you will recognize: Zig Ziglar. I have read Zig’s books, and even heard him speak a couple of years before he died. Now his family is giving your family the full potential to be, do, and have all that it has been designed for. Deep down you have a desire for more. 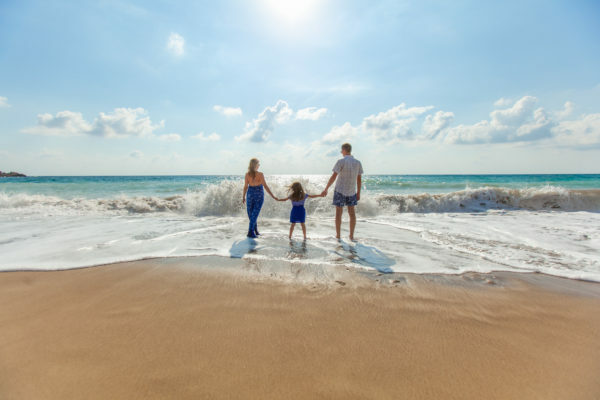 Unfortunately, you may feel discouraged and overwhelmed by everything that works against a healthy, balanced family life, from kids’ hectic schedules, to financial stress, to communication issues with loved ones, to pressure at work. Thrive: A Ziglar Family Community will offer you a way to connect with experts as well as other families. You’ll learn to make small, manageable, positive changes and start to move from survival, to success, to significance, to legacy. It’s all being kicked off with a week-long family challenge I’d like to invite you to join. This week is filled with high profile “challengers” who will present great messages to inspire and inform you. If ever there was a challenger that needed no introduction, that’s today’s guest. It’s NFL player and Super Bowl championship coach —and proud father of 10 — Tony Dungy. You probably recognize Tony as the most successful head coach in the Tampa Bay Buccaneers’ history. He was also the first African American head coach to earn a Super Bowl victory, which he did with the Indianapolis Colts. Tony is a #1 New York Times bestselling author of several books. In Uncommon Marriage, he and his wife Lauren share what it takes to build a marriage that lasts. He’s involved with numerous charitable organizations, including All-Pro Dad, Fellowship of Christian Athletes, and Boys & Girls Clubs, among others. He retired from coaching in 2009 and now serves as a studio analyst for NBC’s Football Night in America. You can probably imagine just how busy his schedule can be and how intentional he has to be about integrating work and family life. And that’s what Tony is bringing to you today: his advice for finding ways to connect with your children even when your work life seems crazy busy. Tony has an innovative and effective idea for bringing work and home together that he learned years ago from his own father. Click here to see what Tony wants to share with you today at the 7-Day Family Challenge from Ziglar Family. PS – It’s kind of incredible that an NFL coach could implement a family policy with his team like Tony did. Click here to hear all about it!